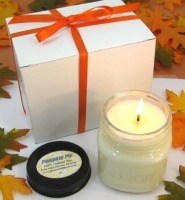 100% Pure Maple Syrup comes in both 750 mL ($21, plus shipping) and 375 mL ($14, plus shipping) sizes. A sweet gift when you don’t know what kind of wine someone drinks! Call for Info. Vermont Bed and Breakfast Home Welcome! 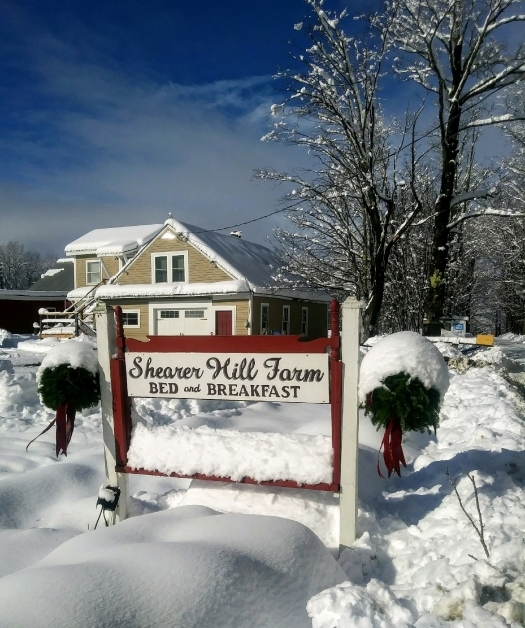 Shearer Hill Farm B&B is a small working farm and Vermont bed and breakfast that's off-the-beaten-path, yet close enough to town to enjoy plenty of Southern Vermont attractions and events. 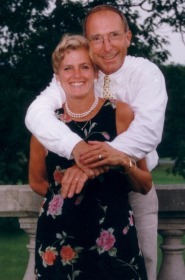 B&B owners Bill & Patti will make you feel right at home and make every effort to ensure that you have a great time in Vermont. Come visit! 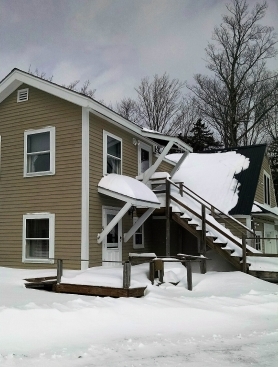 Whether you're planning a spring, summer, fall, or winter trip to Vermont, we hope you'll consider staying here at Shearer Hill Farm, where great hospitality is our top priority. It's never too early to starting planning your trip, because there's always something fun going on here in southern Vermont, no matter the season! America's Heartland features a story about Shearer Hill Farm B&B farm vacations. . *Allow a bit of time though, the page loads slowly. Visit www.SouthernVermont.com and www.VisitVermont.com for Southern Vermont and Mount Snow Valley area attractions and events. Also, join us for the Marboro Music Festival. The Strolling of the Heifers parade/festival on Main Street America takes place in Brattleboro, Vermont each June. Shearer Hill Farm participates in this wonderful family event that's a celebration of cows, farmers, and area artists. Just minutes from the B&B. Come join the fun! Visit www.StrollingOfTheHeifers.com for complete event details. Young and "seasoned", cool or not, cruzer or park rat, Mt. 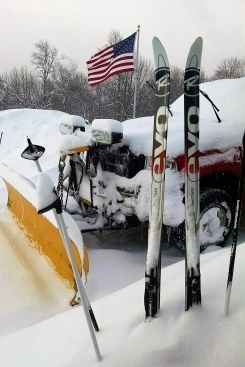 Snow always offers fun events and activities designed to challenge competitors and amaze spectators. 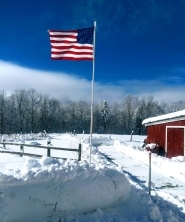 Visit www.MountSnow.com for complete resort information. Maple Sugaring - A maple festival at our door! Shearer Hill Farm B&B is Recommended on. 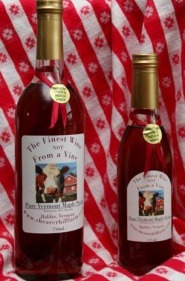 "Road Trip From Maine to Vermont (Including Foodie Trip Tips)"
Website designed by RES eCom, Inc. 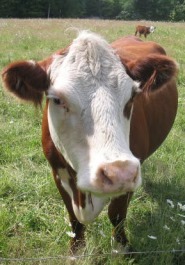 Yes, our small working farm has friendly cows that love to MOO. Most Americans wake to the morning TV news, but not here at the B&B! Here you'll wake to the pleasant sounds of our pasture cows MOOing. Then, come down stairs and enjoy a baked apple breakfast along with a hot cup of Patti's special coffee blend. How relaxing is that! High Speed Internet available on-site. Call for details. According to the March/April 2010 issue of Livin' Magazine, "It's a path less taken, and... It takes a special type of person to be an innkeeper."